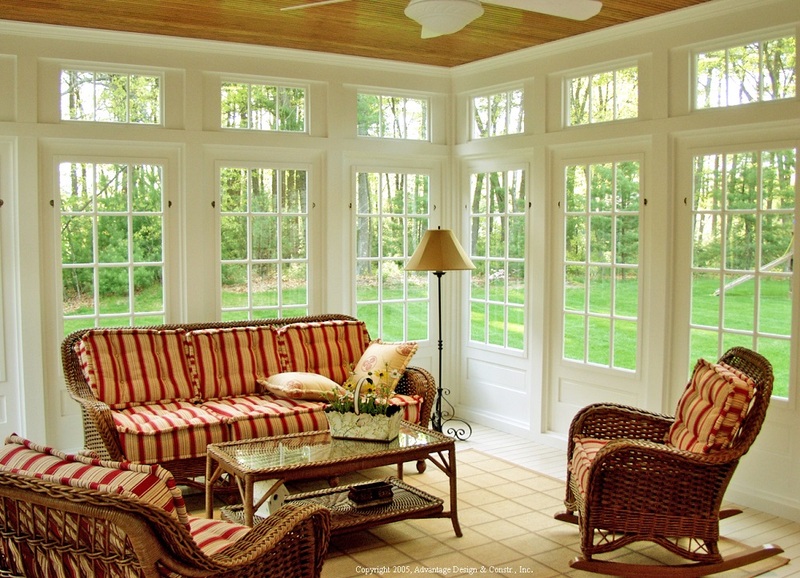 A Homeowner’s Dilemma in Concord, MA: Deck, Porch, or Sunroom? How will you choose? Maybe you don’t need to choose. If you have enough space on your property, have you considered adding two outdoor living structures for double the enjoyment of leisure time? Let your design specialist at Archadeck of Suburban Boston help you determine the best use of the outdoor living space at your home. 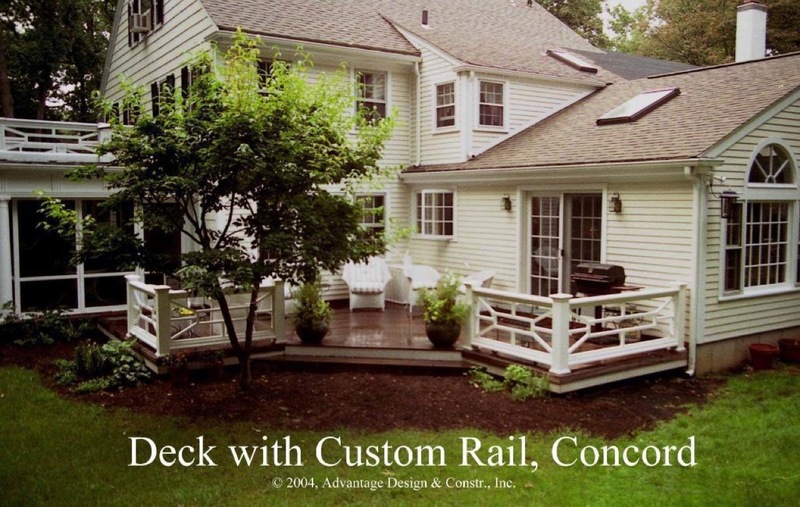 Homeowners in Concord, MA, love their decks, porches, and sunrooms. And don’t forget the 3-season room! If you were to add any of these to your home right now, which would you choose? •	Decks can elevate your point of view and give you a different perspective outdoors. •	A screened porch offers fresh air while protecting you from wet weather and pesky insects. •	A front porch keeps you in touch with the neighborhood in a very relaxing way. 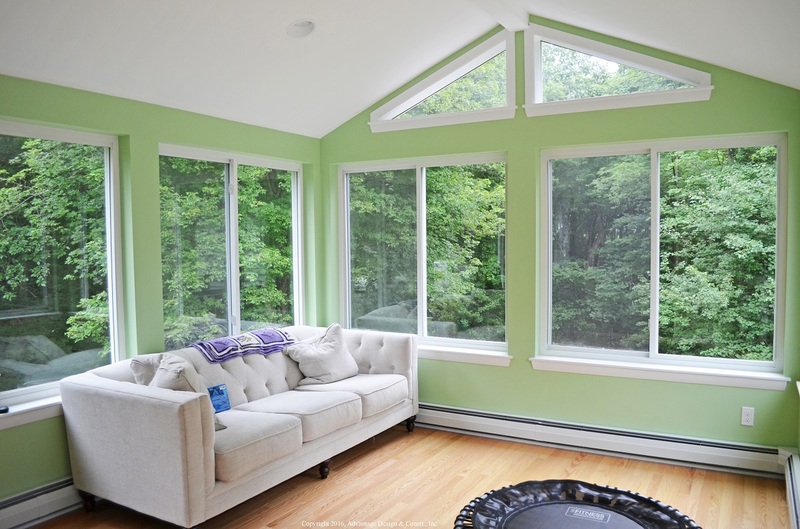 •	A sunroom provides an expansive view of your yard in the comfort of a temperature-controlled space. •	A 3-season room gives you the option, at any time, to enjoy a screened room or an enclosed room. Each of these structures can improve your quality of life and increase the amount of time you’ll choose to spend outdoors. Archadeck of Suburban Boston is here to help you accomplish those goals. Your Archadeck design consultant can help you determine which outdoor living structure(s) would best meet your needs. If you are having trouble deciding on a deck or a porch, for example, we can help guide you through that decision-making process. This is something we have done for countless homeowners in the NE Boston suburbs. In every case, the solution is a high-quality outdoor living structure that is custom-designed to blend seamlessly with the client’s home. This is true regardless of which outdoor living structure you choose to add at this time. We understand the simple pleasures of time spent outside on the deck. If you’re dreaming of a new deck for your home, we want to help you make this dream your reality. Not only can we do so, but we will do it with unsurpassed craftsmanship for results you’ll be proud to show off. Will you prefer the traditional beauty of a natural wood deck or the freedom that comes with low-maintenance composite or synthetic decking? Either way, we will consult with you about how you envision using your deck and how much space you want on the deck. We’ll also explore other design elements such as railings, deck lighting, benches, or privacy screens. Will your deck be elevated or low to the ground? Does the rear of your home lend itself to a multi-level deck that you can access from two floors of your home? Will you require two sets of stairs for your deck, or will one stairway suffice? This deck project we designed and built in Concord, MA, is only two steps up from the ground. It has two exit points where the homeowner can step out into the yard. It also has two entry points – one from the French doors and one from the screened porch. To customize this deck even further, we created these beautiful railings that mimic the rails above the porch. A deck this close to the ground doesn’t need railings according to the building code, but this design opportunity was priceless. The deck wouldn’t have nearly the character it does without these custom railings. 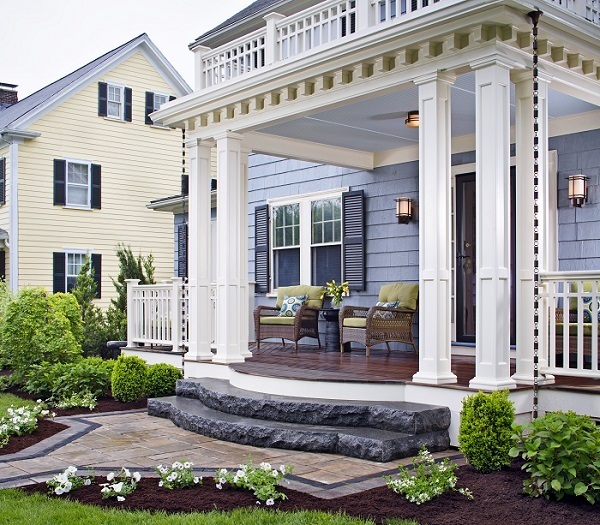 Porches add plenty of character to a home, too. At Archadeck of Suburban Boston, we celebrate porches every day. We also believe one porch per home is not always enough. If you have a formal front porch greeting the neighborhood, you may want to add a more private screened porch in the back. How private? That’s completely up to you, of course. If your back yard is visible to neighbors, we can offer privacy solutions like screening material that allows light into your porch but obscures the neighbors’ view inside. Whatever type of porch you want to add to your home, Archadeck of Suburban Boston is your Concord, MA, porch designer and builder. Our portfolio includes award-winning designs that will tempt you and give you great ideas for a new porch at your home. When is a Screened Porch a 3-Season Room? 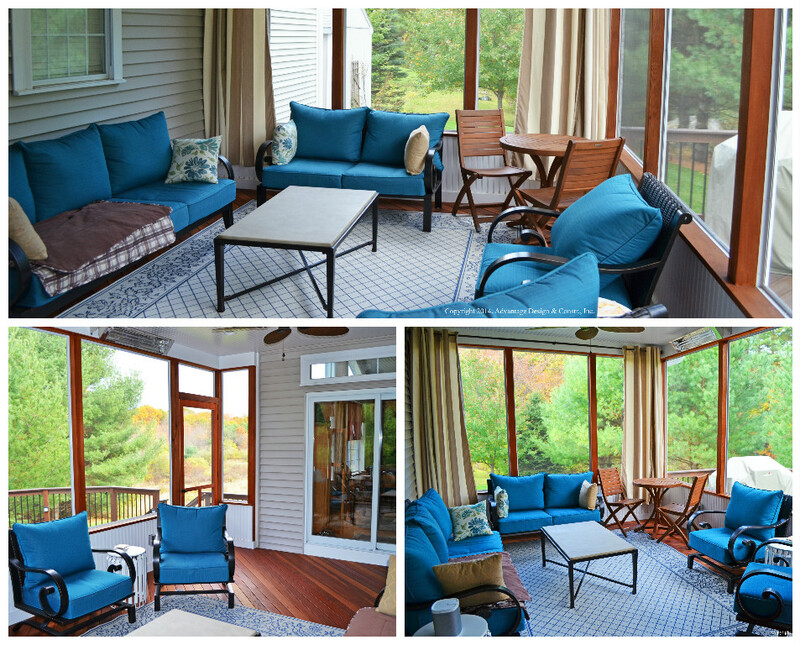 Many Concord homeowners find our Massachusetts temperatures too chilly for a screened porch in the fall and spring. In a practical sense that means they will only enjoy their screened porches in the summer. Is that enough for you? Will your screened porch sit unused for three quarters of the year? These questions lead us to the 3-season porch, or 3-season room, as it is also known. 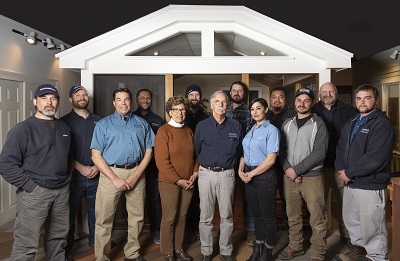 Archadeck of Suburban Boston can design a three-season porch that will open up another half a year of outdoor living enjoyment for your family. These very practical structures include screens as well as clear, vinyl window panels. At any time, you can choose which of these you will use based on the outdoor temperature. You can close the window panels on chillier days and open them to reveal screens when it’s warmer outside. With the window panels open, you can enjoy a breeze, and you’ll still have screens to keep out pesky insects. In summer, you can choose to remove the window panels and store them for the season. In spring and fall, you’ll probably want to keep the window panels installed because you never know when you’re going to need them. Open them during a sunny afternoon and pull them closed later that day to enjoy an enclosed room when the evening turns colder. You decide! Archadeck of Suburban designs and builds beautiful, amazing sunrooms. They’re all different, but what do they all have in common? Each one was custom designed for one specific client. Each one was built with the extraordinary quality and craftsmanship upon which our excellent reputation is based. A sunroom with its preponderance of windows gives you an expansive view of your yard while keeping you warm in winter and cool in summer. You can enjoy the beauty of the outdoors without suffering when outdoor temperatures stray from your comfort zone. We can either tie in your sunroom to your home’s HVAC system or install a ductless mini-split heating and cooling system in the sunroom. Either way you will have a climate-controlled space with such a wonderful view of the outdoors. Contact us today to learn more about how we can enhance your Concord, MA, home with the right outdoor living project. You can reach us at (781) 451-1581 or via email at [email protected].